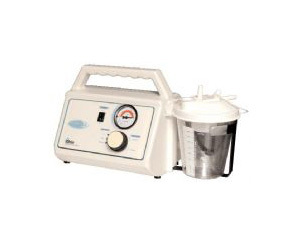 Care-e-vac 3 is a high vacuum and high flow AC/DC powered suction unit. It provides constant suction when wall outlets are unavailable. Care-e-vac 3 is packaged in a compact, durable molded Polycarbonate and ABS Blend case. The unit is compact and very lightweight. It is an excellent choice for the hospital code carts, transportation within the hospital and wherever battery power is needed. Ideal for code carts, patient transportation or wherever a powerful suction unit with battery power is required.